Kids are absolutely adorable, but sometimes someone else is supposed to be the highlight of the event - like their parents, the Queen, or even a famous singer. But kids don't really get that. They waltz into rooms (sometimes rooms they aren't suppose to be in) with their cuteness and charm in hand and they ultimately steal the spotlight - with no thoughts, regrets, questions asked, or even the intention to do so. Some kids just want to see their mom, meet their favourite singer, or live up to their father's expectations for their athletic ability. Whatever the reason, there's no doubt how cute kids truly are. 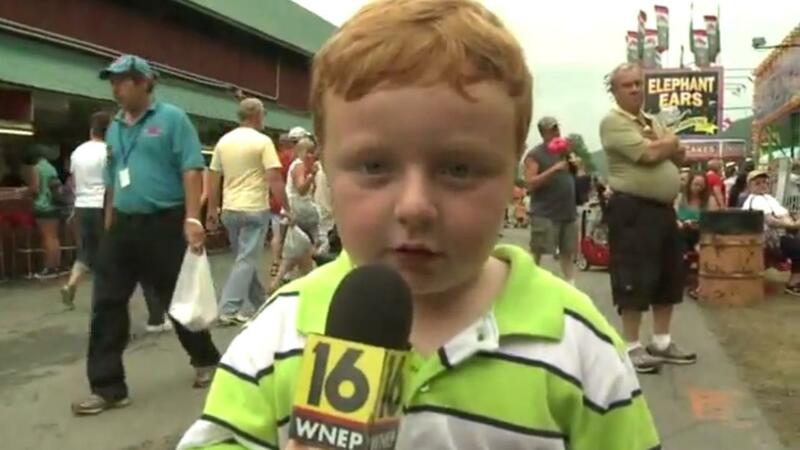 So for your reading pleasure, here are 12 times kids accidentally stole the show. Sometimes kids steal the show by dropping in when they're not supposed to be there, other times they steal the show when they surprise us with their wit and insight, like nine-year-old Robby Novak who is better known as Kid President. Kid President is famous for his Pep Talk about not being boring and being awesome instead, and 20 things we should say more often like "thank you," "excuse me," and "here is a surprise corndog I bought you because you're my friend." 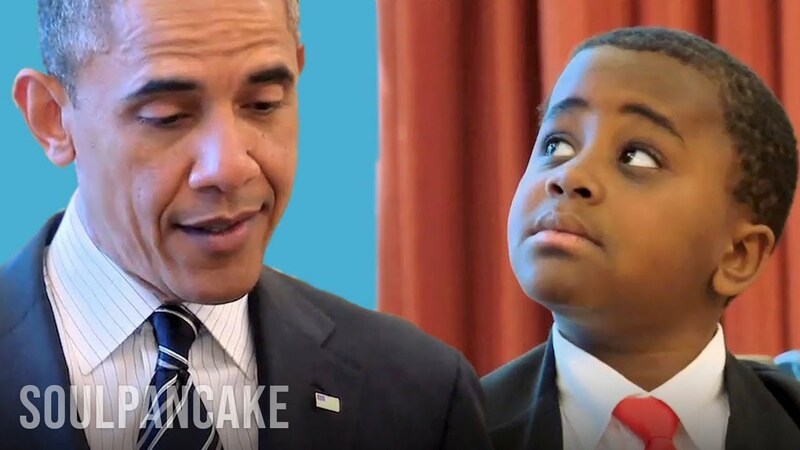 While he's no stranger to being the center of attention, this young man definitely was the star of the show when he got to meet the former POTUS Barack Obama, sit behind the desk, and whisper into the Oval Office phone. It seemed like a pretty cut and dry community event story when ABC affiliate WNEP's reporter Sofia Ojeda arrived at the Wayne County Fair in Honesdale, Pennsylvania, to film a few people enjoying the rides and food, interview some adults and children about how their day is going, and talk to one of the event planners about how incredible it feels to have pulled the event off. She approached young Noah Ritter to ask him about how he felt after getting off one of the rides. After informing Ojeda that he's not normally on TV, this budding reporter took hold of the microphone and gave a fabulously adorable rundown of the ride. While some adults use verbal crutches like "um..." and "you know..." to fill in the gaps, Ritter's word of choice was "apparently." Because he peppered his interview with this word, he earned himself the moniker "Apparently" Kid. 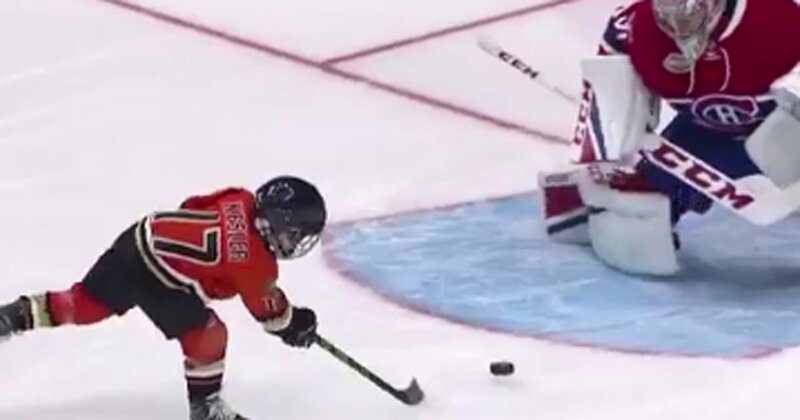 It might be in his blood, but it was still unexpected when six-year-old Ryker Kesler scored on the Montreal Canadien's goalie Carey Price during the NHL All-Star Skills Competition. Before the shoot-out, all eyes were on Arizona Coyote's goalie Mike Smith who scored from the opposite crease during the Four Line Challenge. But his time in the spotlight for the most memorable shot was doomed to be short-lived when Ryker stepped onto the rink. This young little hockey player blew everyone away when he scored on Price while participating in the shoot-out. Although, it shouldn't be too much of a surprise that Ryker loves hockey or that he is good at it. His father is Ryan Kesler, the Anaheim Ducks' center. It's hard to steal the show when you are surrounded by basketball stars, but that's exactly what Jarrius Robertson did at the NBA's All-Star weekend. 14-year-old Jarrius took to the court in the fourth quarter of the NBA All-Star Celebrity Game and scored a basket. When Jarrius was only one, he underwent a liver transplant to deal with biliary atresia, a chronic disease he suffers from. However, the transplant did not go smoothly, and because of some complications, he ended up in a coma for almost a year. Even though he underwent another liver transplant a few months after the game, his sickness was not apparent when he took to the court during the game and made it one he will remember for the rest of his life. Sometimes you just have to take a chance, like Nathan Testa did when he skipped school to go to a Bruce Springsteen concert. While Springsteen was performing, he looked out over the crowd and was struck by one sign which read: "Missed school in the s**t now, can I play Growin' Up with you?" 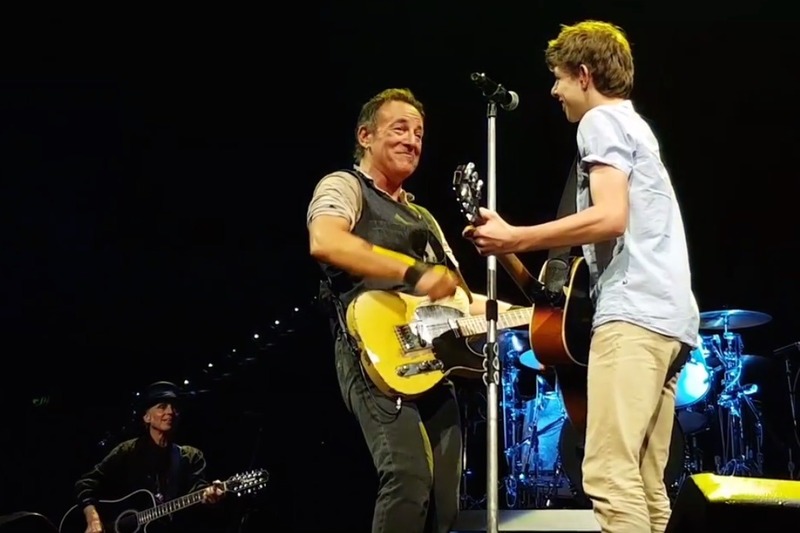 Since Springsteen loves to meet his fans and make them happy, he invited the teen onto the stage and found him a guitar so they could rock out together. Then, before letting Nathan leave, Springsteen made the experience even sweeter by telling the world "I have seen the future of rock and roll and his name is Nathan Testa!" I suppose when you get accolades like that, the consequences of skipping school are small indeed. 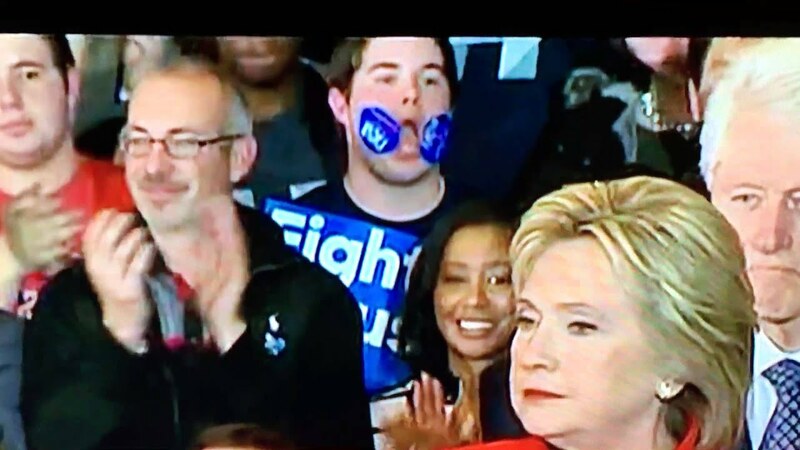 During her sort-of-victory speech in Iowa last year, Hillary Clinton found herself being upstaged by a college student with stickers on his face. Peter Clinkscales and his buddy managed to get themselves a seat behind the presidential candidate, and while they were there he decided to have some fun with the cameras. So for the rest of her speech, he entertained her viewers by bouncing around, making faces, and covering his cheeks with stickers. Originally, he and his buddy intended to bring saxophones to play, but they decided to go with stickers when they found out the instruments probably wouldn't make it past security. Even though there wasn't a saxophone in sight, Sticker Kid's escapades landed him in the legend book as he dabbed his way into people's hearts. No one is immune from being upstaged by a cute child, not even the Queen. When the Queen turned 90 she and her family stepped out onto the Buckingham Palace's balcony to watch the "Trooping of the Colour." You would think that she would have everyone's attention since she is the longest-reigning monarch and she was turning 90, but that was not the case. Her great-grandson Prince George stole the show as he acted in a typical toddler manner (at least the typical manner of a toddler who is in a good mood). He waved at the crowd, pointed at things in the distance, and looked down over the edge to see just how many people were there. Helping the young prince steal everyone's hearts was his little sister Princess Charlotte as she enjoyed the show from the comfort of her mother's arms. Stealing the show is tough to do when you are actually at an event, but it's even harder when you aren't there. 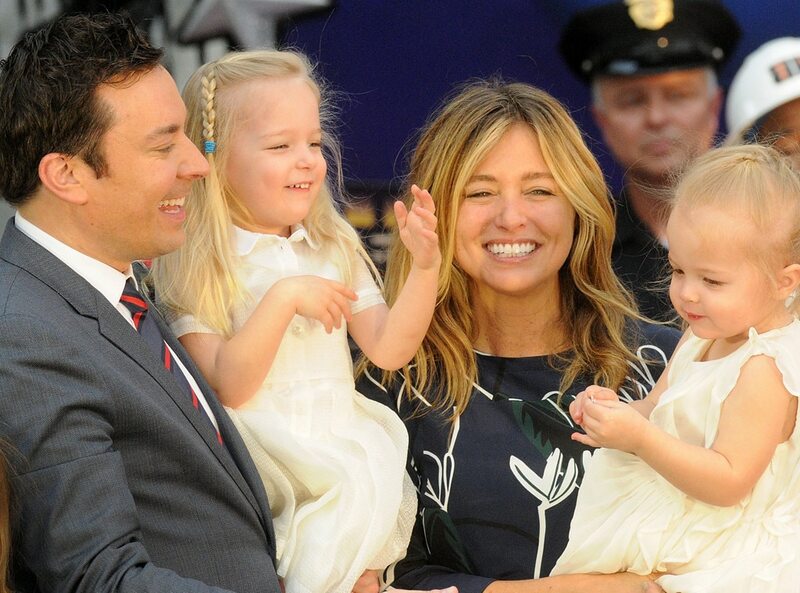 But that is just what Jimmy Fallon's kids managed to do at the 2015 Emmys. Fallon, who hosts "The Tonight Show," has always been pretty vocal about how much he loves his daughters. So it should be no surprise that he loves to keep images of them close to him. While he was being interviewed by Ryan Seacrest before he entered the Microsoft Theater, Fallon pulled a tiny picture frame out of his pocket and shared a picture of his daughter Winne Rose, who was two at the time, and one of Frances Cole, who was only nine months old. And, like most kids their age, their cuteness stole the show and took away all attention that was on their father. Speaking of Awards Ceremonies, the kids from Stranger Things stole the show at the 2016 Emmy Awards. These three kids rolled up on their bicycles and handed out peanut butter sandwiches to the guests. As if feeding the guests wouldn't be enough, Gaten Mattarazzo, Caleb McLaughlin, and Millie Bobby put in a little more effort and made sure that they were the most memorable attendees of the evening. They had a blast goofing around while walking down the red carpet and then, later on in the evening, they performed Uptown Funk for their new and old fans. She bought the dress, planned the event, and hired a photographer. Then, as he's snapping fabulous photos of her and her new spouse, the bride realizes that this day is no longer about her. 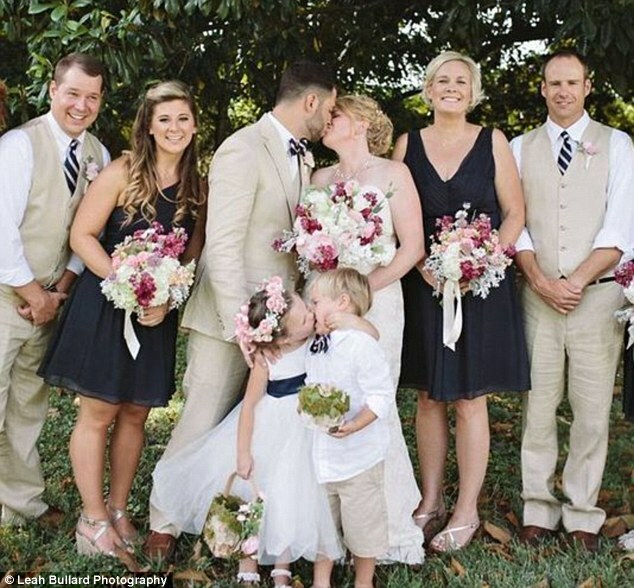 It's about the cute flower girl and the adorable ring bearer who have officially upstaged the day with their first kiss. The bride should have seen it coming when the pair walked out of the ceremony smiling shyly at each other while the guests fawned over them. But, the bride didn't notice because she was far too wrapped up in the one she said "I Do" too. But now their cuteness will be forever immortalized in their wedding pictures, so every time she looks at them she will see them first and think "Aww... look at how cute they are." 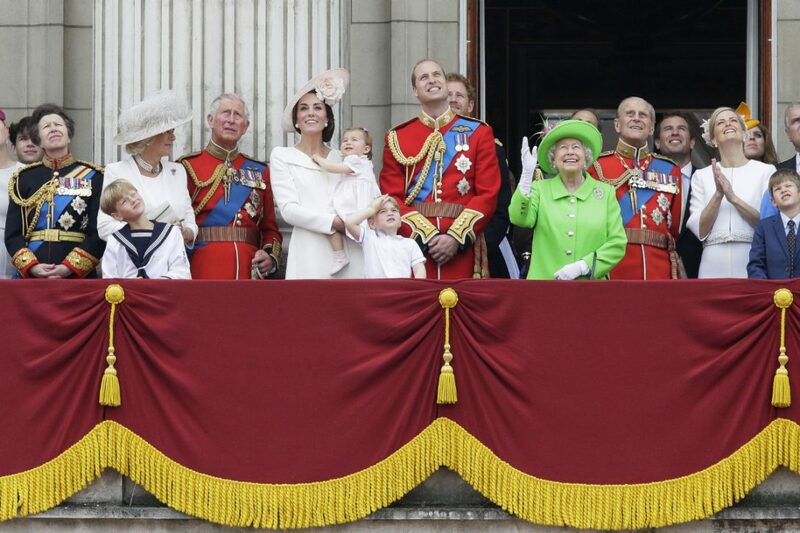 Once again being royal does not make you immune to being upstaged by a child. This time is wasn't at someone's birthday party. It was at Will and Kate's wedding. After the ceremony was over, the newlyweds were upstaged by a young girl who had simply had enough. After surviving through the ceremony and some photos, then three-year-old Grace van Cutsem, Prince William's goddaughter, was fed up with the whole deal and decided she had had enough of the crowd and the noise. And as Will and Kate were enjoying a kiss for the cameras she frowned, and her annoyance was captured for the whole world to see. You probably remember this incident. Professor Robert E. Kelly was being interviewed by BBC News on his opinions about the corruption scandal in South Korea, which forced President Park Geun-hye out of office. Although, if you are like most people, you probably have no idea what Kelly's thoughts are on the subject because both of his children sauntered into the room to hang out with their daddy in the middle of it. First, his oldest daughter walked in. Despite her dad's efforts to ignore her and then keep her at bay, she ended up stationing herself right beside him. Then, her younger brother rolled on in to join the fun. It's a risk any parent takes when they decide to work from home. After all, kids don't understand that Daddy's busy and can't be disturbed right now - they just want to see him. 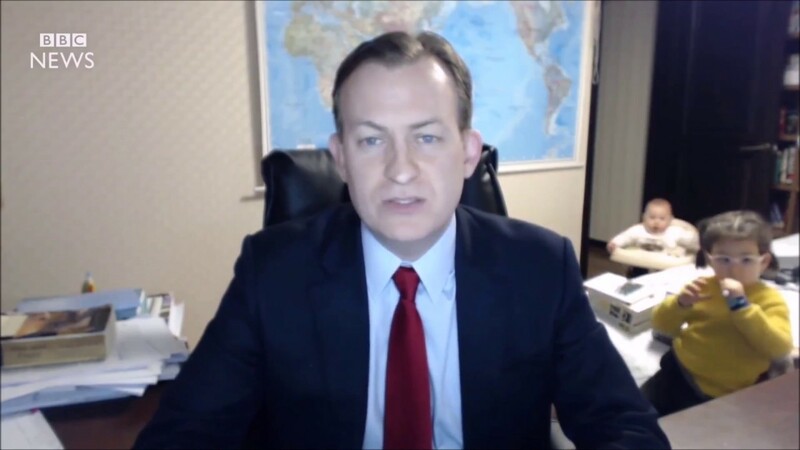 Although, for most parents, their children's interruptions don't happen on live television.